Kingdom of Persis. Artaxerxes III, 1st century AD. 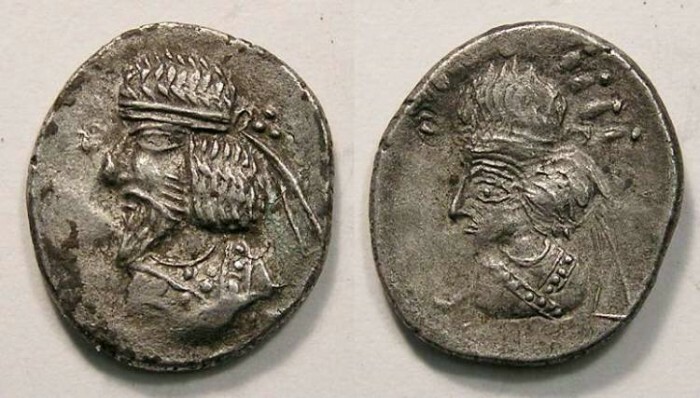 Silver drachm. Artaxerxes III would also be known as Ardashir III. The dating of the Kings of Persis has not been firmly established by he probably ruled in the early 1st century AD. Size : 15.9 x 18.1 mm Weight : 2.69 grams. Obverse : Crowned bust of Artaxerxes III left. Reverse : Bust left with rays around the head (it is as yet uncertain to me who this head represents).